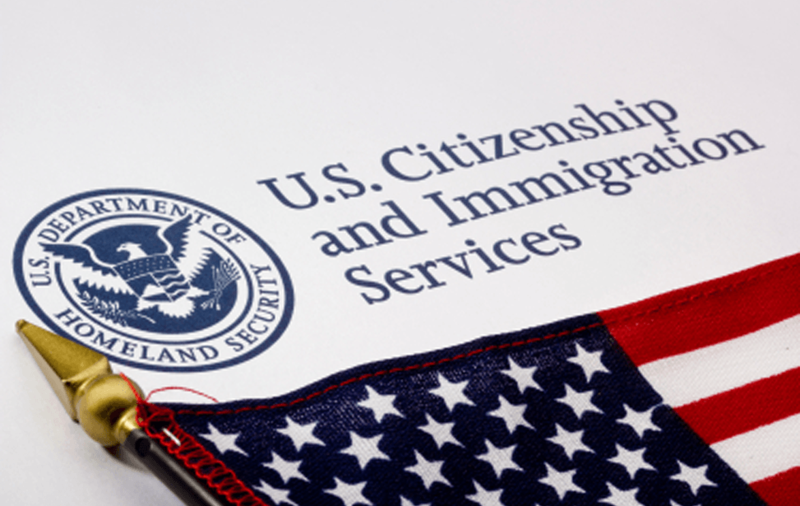 A few days ago the Center published my blog post, "Is USCIS Incrementally Recreating the INS? ", in which I noted that U.S. Citizenship and Immigration Services was recruiting significant new numbers of immigration officers within the Fraud Detection and National Security (FDNS) Directorate. I observed that, unable to routinely rely on the investigative cadre of agents within its sister Department of Homeland Security (DHS) agency, Immigration and Customs Enforcement (ICE), to accept its fraud referrals, USCIS was both creating its own corps to do so, and turning to other agencies more amenable to accepting referrals, including the Federal Bureau of Investigation (FBI). Since writing the blog post, two things have happened. Both are, in a way, further confirmation of my theory, although there is a decidedly negative aspect to one of them, as you will see. To quote the indictment announcement, "U.S. Attorney Evans praised the work of the New Orleans Field Office of the Federal Bureau of Investigation in investigating this matter." Once again, we see no evidence of collaboration from ICE agents whose agency was created to investigate immigration and visa violations, as well as customs and trade violations. This is evidence of a colossal breakdown in communication and collaboration between these two agencies, for which the finger can only be pointed to those leaders in DHS, USCIS, and ICE who have permitted it to take place. Your observation that FDNS has weak leadership is absolutely correct. It also has leadership that is inexperienced and unqualified to manage a fraud unit. The FDNS Branch Chief, [REDACTED], has never been a fraud officer and has not even completed basic fraud officer training [and] was promoted from ACD at the Texas Service Center to reward for implementing the "Fraud Backlog Reduction Project," which consisted of consolidating files into groupings categorized en masse rather than individually; preparing template Statement of Findings (SOF) to insert in categorized files to preclude and intentionally prevent a comprehensive and extended fraud review by an IO; devising an "e-SOF" program to allow ISO's to download a template SOF and insert it in the file thus eliminating the necessity of referring the file to the CFDO and thereby precluding review of the cases by a trained fraud officer (the program is credited with reducing the backlog by 50%); arbitrarily and capriciously declaring that national security (NS) cases are no longer a potential threat; imposing additional procedural conditions for acceptance of fraud referrals; declining referrals from ISO's on arbitrary technicalities. ... In just ten months, her project eliminated over 4,000 files in the fraud unit's backlog. I know of numerous incidents where the investigating IO was told by FDNS management not to contact ICE or the FBI for a particular case accepted by them or face disciplinary action because assisting law enforcement prevented the IO from writing SOFs and returning the files to the assembly line. ... FDNS management is populated with file movement evangelists who have crossed over from SCOPS and whose only interest is providing "customer" service. Thank you for writing to me, it was incredibly informative. ... Needless to say, your information greatly troubles me. Although I still think the multiplicity of FDNS positions being announced is a good thing, what you've told me suggests that there is still a long way to go in changing mindsets, particularly among those managers who came up and fared well in the "approve and move 'em fast" environment. I'm not really surprised at a certain level, of course — changing cultures in a bureaucracy is like changing directions in an aircraft carrier: slow and lumbering, because of the sheer size. ... Meanwhile, I encourage you not to give up hope. There are in fact many in positions of authority, both within DHS and USCIS, who do wish to see change effected. I hope I am not imparting false hope. The assertions being made are serious and deserve careful examination to determine whether, even as USCIS works to develop the infrastructure and capacity to properly examine and root out fraud, that capacity is simultaneously being undermined by those in positions of authority who still see immigration benefit adjudications as a simple numbers and stats game.